Analytical testing recently completed by the chemists at Integrated Biomolecule Inc. of Tucson, Arizona, has revealed some very startling news. The cultivated Cordyceps produced by Aloha Medicinals has more than four times the nucleoside content, and nearly five times more of the total active ingredients than the wild collected variety! Analysis of Wild Collected Cordyceps and Cultivated Cordyceps reveals startling news! For the first time ever, Cordyceps has been cultivated in the laboratory which not only matches the chemical analysis of wild Cordyceps, but actually exceeds the potency by a factor of 5! Cordyceps sinensis, a medicinal mushroom with amazing potential, is a native of the high Himalayas, and has been known and used in China for nearly two thousand years. Since the natural range of this mushroom consists of only a small area in the high mountains of Tibet and Nepal, its price in world commerce has always been among the very highest of any raw medicinal feedstock. Current prices at the wholesale level in China are in excess of $5000 per kilogram, and going higher all the time. Nearly three years ago Nepal restricted the harvest of wild Cordyceps, and since that time there has been a general shortage in markets throughout the world. The scientists at Aloha Medicinals, a Hawaii based health supplement manufacturer, recognized the potential of such a unique commodity, and started researching new ways of cultivating Cordyceps about five years ago. They had the idea that by duplicating the conditions found in nature they might be able to grow Cordyceps with properties similar to the wild collected varieties. Since the native environment consists of high altitude, cold temperatures and thin air, they started experimenting with growing Cordyceps in specially designed refrigerated containers, in a very low oxygen environment. This is exactly the opposite of the way in which all other mushrooms are grown. Warm-and-wet is the usual rule for mushroom cultivation. While other experimenters are growing their Cordyceps in only four or five days, Aloha Medicinals takes nearly six months to grow out a batch. But it appears that the time and effort spent is well worth while. It is now official! The cultivated Cordyceps sinensis produced by Aloha Medicinals Inc. at their Santa Cruz, California facility has been independently analyzed as being more potent than the best grade of wild-collected Cordyceps, and is now known to be the most potent cultivated Cordyceps in the world! The chemical testing, which was done by the countries’ leading Biomolecule assay lab, was conducted utilizing the very latest in analytical methods. High Performance Liquid Chromatography with Mass Spectrometry (HPLC/MS) was used, which is the same method used for the detection of drugs in urine specimens. Able to detect compounds down to a level of a few parts-per-billion, this is the most sensitive and the most accurate method of analytical analysis available today. “We would have been happy to see levels of even half of what is found in the wild Cordyceps”, says Dr. John Holliday, Director of Research for Aloha Medicinals. “But what we found were active ingredient levels about 5 times higher than the best wild collected samples we tested. We compared our cold-grown Cordyceps against fifteen other samples, including the highest quality wild collected Cordyceps and all of the other cultivated varieties from both North America and the Orient, as well as the leading pharmaceutical grades from China.” Doctor Holliday explained that there are prescription Cordyceps medicines available in the pharmacies of China, typified by a drug known as “Jin Shui Bao.” Doctor Holliday actually studied in China with the company that produces Jin Shui Bao. That is where he obtained his original starting material to cultivate Cordyceps in America. He still regularly performs work for the Government of China on the subject of Cordyceps cultivation. Aloha Medicinals is the largest producer of Cordyceps in North America, and presently the only American cultivator supplying Cordyceps to China. The active ingredients in Cordyceps have been identified as Hydroxyethyl Adenosine Analogs, commonly called HEAA. Other compound which were tested for were Cordycepin, Adenosine and Hydroxyethyladenosine. All of these compounds were present in the Aloha Medicinals samples. they were present in quantities more than four times greater than in any of the other samples. “Most of the cultivated samples which we tested showed no active ingredients whatsoever.” Says Doctor Holliday. Cordyceps of superior quality is now available at a price even the common man can afford. No longer is this a medicine reserved just for the Emperor’s Court, as in days of old. For the first time, the common man can benefit from this ancient and traditional medicine. Cordyceps has been used for a long time in China and Tibet. For at least a thousand years according to the written record. It has always been very highly regarded, but it has also been the most expensive herbal raw material in the world. This is because it only grows at high elevation in the Himalayas around Tibet and Nepal and in small border sections of India and China. The high altitude makes its collection difficult, and this rarity of Cordyceps has limited its use by the general public. The great demand and the limited supply act to drive the price up, sometimes to as much as $35,000 a pound! The scarcity and high price lead many people to try to cultivate Cordyceps like a normal farm product. But unlike the common button mushroom that we find on pizzas worldwide, Cordyceps proved to be extremely difficult to grow. But back to Cultivated Cordyceps: This CS-4 culture proved itself a good candidate for commercial growth, so it was evaluated as a substitute for wild Cordyceps. It was tested for its medical potential, and by 1988 it had been approved in China as a medicine under the name Jin Shui Bao. As part of the approval process to bring this to market, many clinical and safety trials were conducted showing its efficacy and safety. That is the reason there are so many scientific articles available on this particular strain called CS-4. After more than 20 years of clinical observation, some of the results have been quite astounding. There are some conditions for which Cordyceps has proven to be the best possible choice. But that happened a long time ago in terms of science. Think of the advances that have been made in all the sciences over the last 38 years. That is how long ago CS-4 was isolated. CS-4 is a good dietary supplement, but just because CS-4 was the first Cordyceps cultivated and studied certainly does not mean it is still the best choice today. Every aspect of science and technology has advanced over that period of time. (Think about computers 40 years ago…) Virtually no other medicine of that earlier time is still considered to be a first line defense against today’s health threats, yet many people today are taken in by the marketers that still use that early information on CS-4, telling their customers that CS-4 is the best Cordyceps for their use. This is just simply incorrect. We have learned a lot in those 40 years, and now we know there are many more options for Cordyceps today, and many other strains of Cordyceps have been developed that are more potent than CS-4. Back in 1972 when CS-4 was isolated there was no such thing as DNA analysis. So at that time it was not realized that CS-4 contained only a part of the Cordyceps genome. CS-4 is closely related to Cordyceps sinensis, but it is not “true Cordyceps sinensis”. CS-4 is a related species called an Anamorph. The correct Latin name for CS-4 is Paeciliomyces hepialis chen, not Cordyceps sinensis. This variation from Cordyceps sinensis is due to a unique feature of Cordyceps called “Part Spore Reproduction” This is a pretty complex subject, but anyone wishing a more detailed explanation of this phenomenon is encouraged to email our research department and we will be glad to give you the entire report detailing how Cordyceps reproduces and why it is so difficult to cultivate True Cordyceps. Let’s jump ahead nearly 40 years and look at where Cordyceps cultivation is today: Aloha Medicinals set out to cultivate the most potent Cordyceps back in 1999. We started with the purchase of CS-4 cultures from private manufacturers in China. This was the first strain of Cordyceps we produced when the company was formed on Maui in 2000. In 2001 we purchased another ten Cordyceps strains from the Government of China. But our research using DNA analysis and the most up-to-date analytical methods such as GC/MS and HPLC/MS showed that none of these “Cordyceps” strains were identical to wild Cordyceps. They were all related anamorphs, but they were not “True Cordyceps”. Since 2001 we have isolated over 400 different Cordyceps cultures from specimens purchased in herb stores and collected from the wild in Tibet and Nepal. We tried every possible combination of culture techniques and growth medium, but we realized that by using these part-spore cultures there was no way to gain the full potential which is known to occur in wild Cordyceps. To achieve the wild Cordyceps quality requires a much more complex approach, involving the replication of the wild Cordyceps growth conditions and triggering fusion between several part-spore cultures to achieve the full Cordyceps DNA sequence. This approach was so unique it was issued the only patent ever granted for the hybridization of mushrooms! This is the only cultivated Cordyceps available today that is genetically and analytically Bio-Identical to the wild Cordyceps occurring in Nature. This is not to be confused with Genetic Modification. Aloha Medicinals absolutely guarantees there are NO genetically modified organisms (GMO) in any Aloha Medicinals product. We are opposed to the GMO approach, as well as this being forbidden under USDA and EU Certified Organic standards. Quality has no substitute. 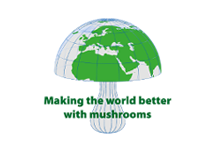 Aloha Medicinals makes the VERY BEST medicinal mushroom products in the world today. And we back that statement up with a 100% Money Back guarantee. Even after we had developed these bio-identical cultures though, which were 100% Cordyceps sinensis in every way, there was still a problem: The Cordyceps being grown in cultivation was still not as potent as the wild collected Cordyceps. To try and resolve this problem, Aloha Medicinals scientists undertook an expedition into the heartland of wild Cordyceps habitat, central Tibet. 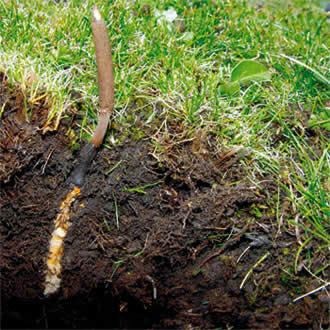 In May and June of 2006 Aloha Medicinals conducted one of the most comprehensive scientific research expeditions ever undertaken in the mountains of Tibet to study the natural growth parameters of wild Cordyceps. Working with the local nomad people, we identified several hundred Cordyceps specimens growing directly from the ground. We carefully measured all the growth conditions there, such as pH, soil and air temperature and composition, moisture content in the air and soil, the other micro-organisms found in the area, air pressure and virtually everything else that could be measured, we did. We brought this information back to the lab, and developed entirely new methods of cultivation, which have resulted in Cordyceps that is not only bio-identical genetically, but also bio-identical in it’s analytical signature. Bringing the latest of 21st century American biotechnology to this field has resulted in a quantum leap in Cordyceps cultivation, reducing the cost and increasing the quality of cultivated Cordyceps. These cultivation methods involved building special growing chambers where the oxygen is held at 50% of the normal atmospheric oxygen, and the temperature is held at just above freezing. This exactly replicates the conditions found during the growing season in Nepal and Tibet at 18,000 feet (5400 meters) elevation. This Low Temperature, Low Oxygen growth is also patented. Aloha Medicinals is the only company in the world that grows Cordyceps using these techniques.